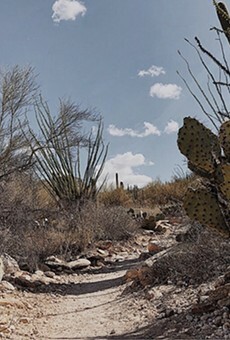 It's hard to believe that this kind of stunning wilderness can exist so close to our buzzing metro center, but Sabino Canyon offers dozens of hikes along desert trails spotted with cacti and mesquites. If you'd like to take a dip, you can wander up to Seven Falls to enjoy cool fresh water, and if you're especially adventurous, you can start in Sabino Canyon and make your way all the way up to Mount Lemmon. If you're not into an uphill climb, you can even take a shuttle up the canyon and enjoy the downhill walk back to the visitor center.